My new favorite stroller- Really. 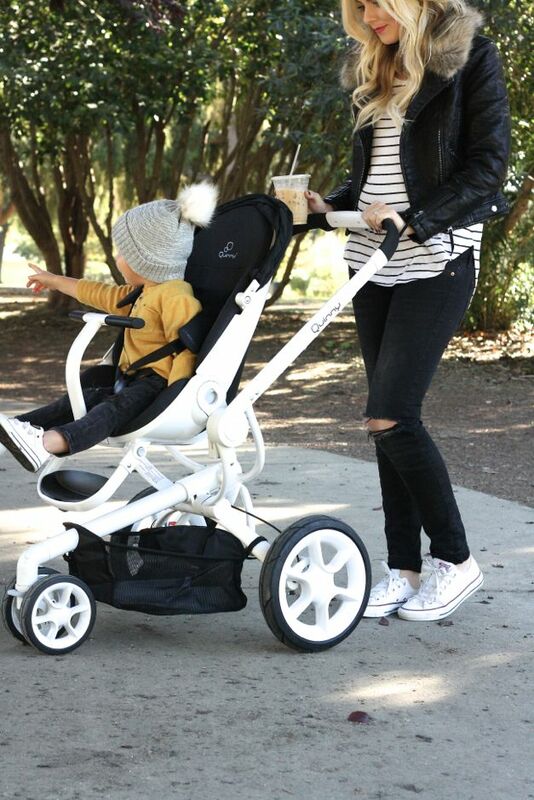 K guys… I’ve found the ultimate stroller- the Rolls Royce of strollers. From the look to the ride to the convenience, I can’t find something I don’t like! We went with the color ‘black irony’ because it’s such a classic look, but it also comes in a bunch of fun colors like bright pink for a girl or red or all black. My husband and I try to switch off spending one on one time with each kid. We had just spent a morning with my daughter a few weeks ago while Brooks was in pre-school and thought it would be fun to take him out for a turn. We started off the morning by hitting up my favorite coffee shop in town, The Mill (If you’re from the Sacramento area, you have to try it, again- my absolute fav! and I’m kind of a coffee snob 😉 and then headed to a nearby park to try out his new ride while searching for and chasing after squirrels and geese (one of his fav things to do). I’ve never experienced this before with either of my kids, but for some reason my son is obsessed with riding in this particular stroller. I don’t know if it’s because the seat is situated higher or if it’s the comfort of it all, either way- to not have to wrestle him while trying to strapping him in, I’m all about it! This one is quite amazing. My kids sure will like this. Thanks for sharing. This one is quite amazing. Liked the kid enjoying the ride. My kids sure will like this. 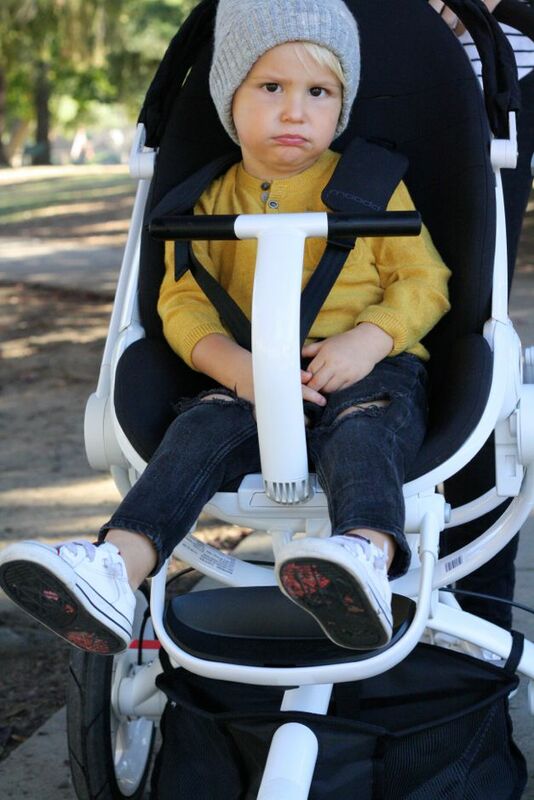 We have this stroller and I agree. It is amazing. It can get over any terrain and it’s really easy to open and close. Plus, I love the option of making the handle higher or lower. It’s a really modern stroller. You have to dress well if you’re going to be pushing around that stroller! 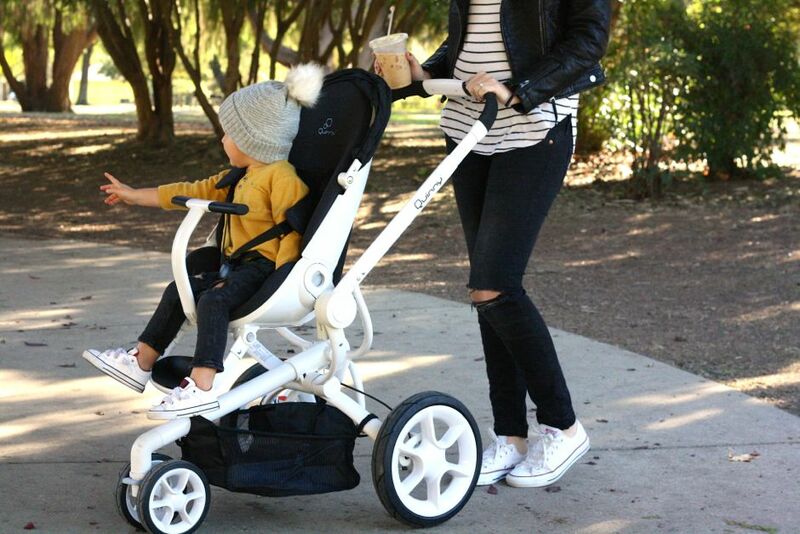 Really this is awesome stroller and also happiest combination of mom and baby which you have share. 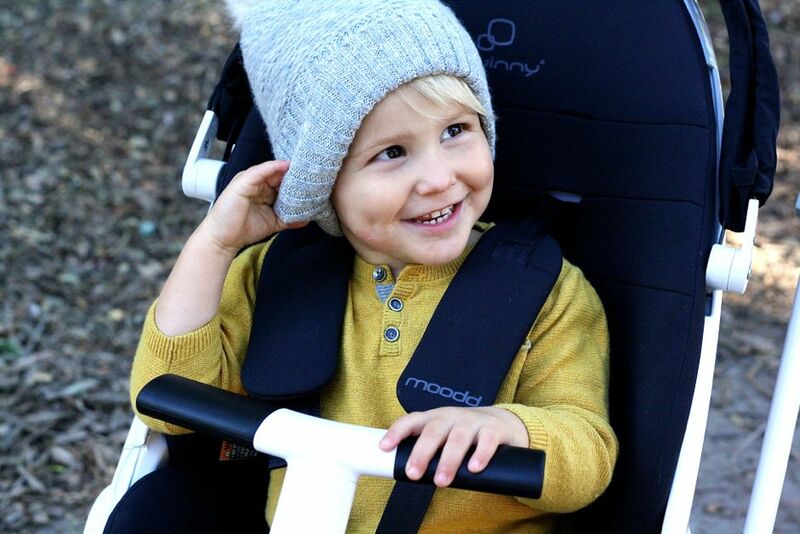 Actually this modern life stroller is very needed for both mom and baby. It has given baby’s safety so it’s most important part of new parents. This is brilliant bit of stroller. a debt of gratitude is in order for sharing this valuable data. The stroller and baby both are awesome. Thanks for sharing such an important information!